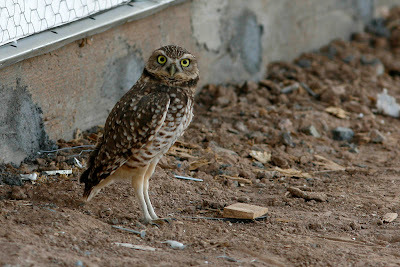 I was out looking for good stock photography subjects the other day, and came across this Burrowing Owl in a new housing development. Melanie and I also encountered one on Christmas Eve while out looking at Christmas lights. While in Maricopa, I think I've seen these about a dozen times without really looking for them.